I am providing something a little different today in an effort to keep these safety messages interesting as well as relevant. 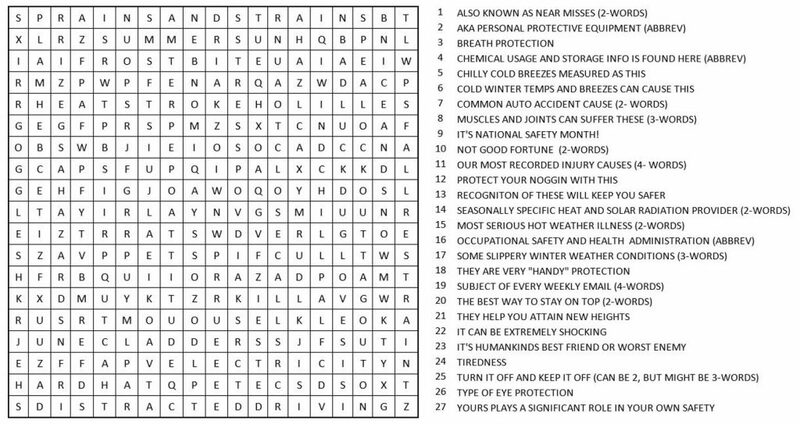 Below is a word search puzzle using some common words, terms and phrases regarding items specifically mentioned in some of my previous safety emails. 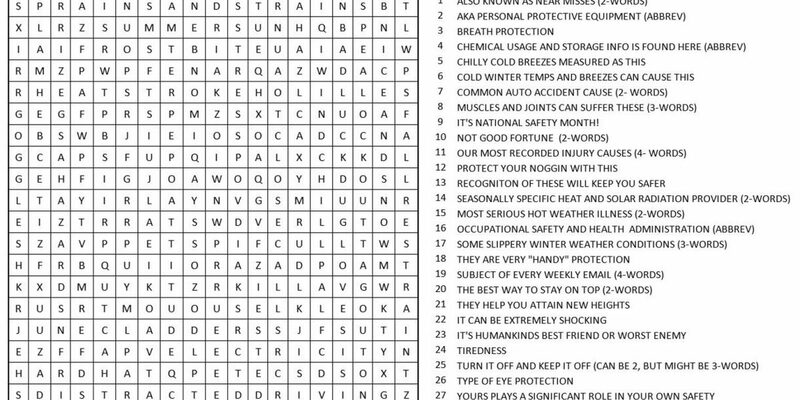 The puzzle is solved as most Search-A-Words are by locating the answers reading left to right, both diagonally up or diagonally down, and from the top to bottom. Instead of providing those actual answers for you to find, I took some liberties here by just providing clues to what you are looking for. Some of them might be a little “tongue in cheek” so you’ll have to think carefully, but that’s the whole point, isn’t it? Thinking carefully about, and then ultimately acting on safety, has always been the goal. Should you find yourself well and truly stuck just reach out to me and I will provide another clue. Believe me though, it’s not that tough of a puzzle!